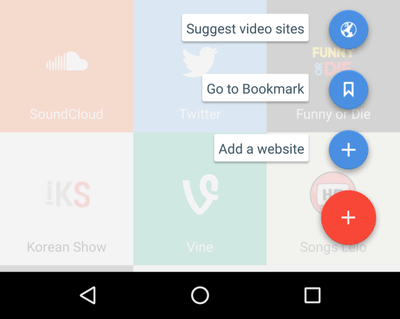 If we are looking to download YouTube videos on Android, we won't find relevant apps in Google Play Store. This is unlikely to change anytime soon. 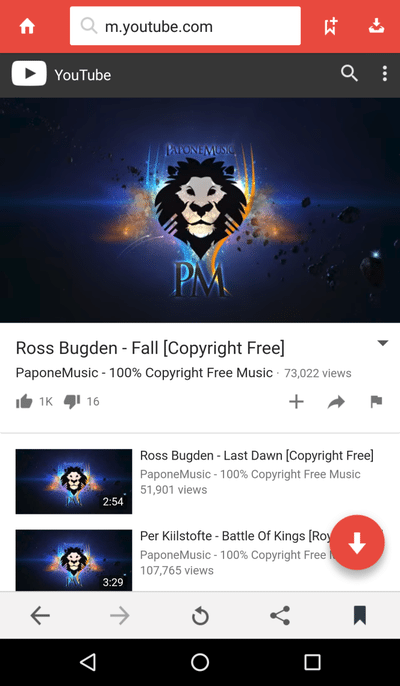 Fortunately, there are a few apps we can sideload on our Android smartphone or tablet, which will allow us to download YouTube videos and also convert them to Mp3. 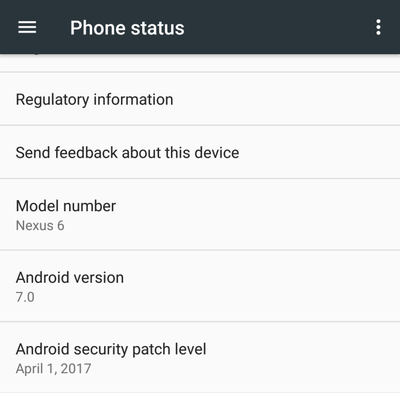 We have created this guide on a Nexus 6 smartphone with Android 7.0 and the April 1st, 2017 security patch. 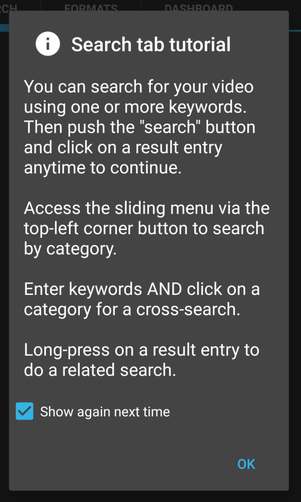 It should work for recent earlier or later versions of Android, and on other manufacturer's phones. 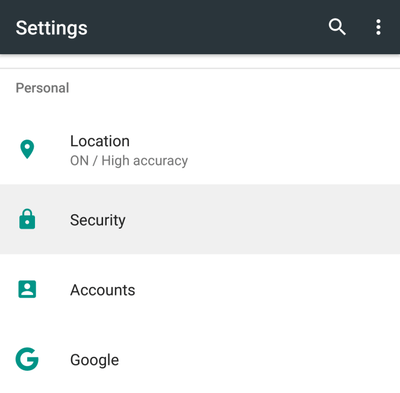 You might get slightly different looking menus on the Android settings. We have also scanned all of the apps with Bitdefender Mobile Security for Android, to make sure they are free from malware. 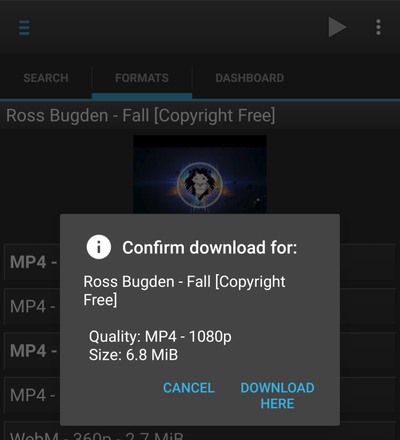 Finally, we have used Ross Bugden's videos to test the YouTube downloader apps. These videos are copyright and royalty free, and thus it is 100% legal to download and convert them for any use. 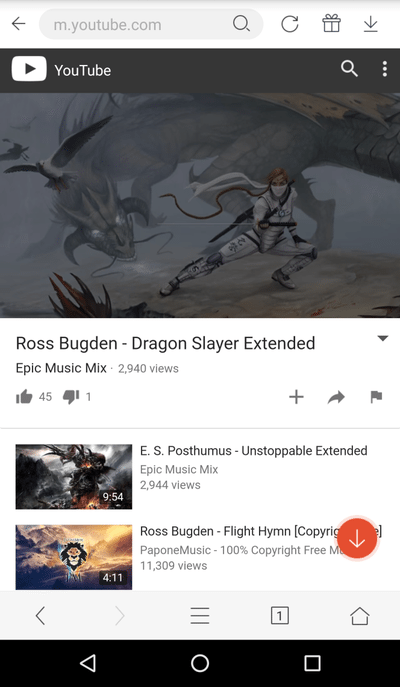 Do you want to download songs from YouTube with 320Kbps quality? 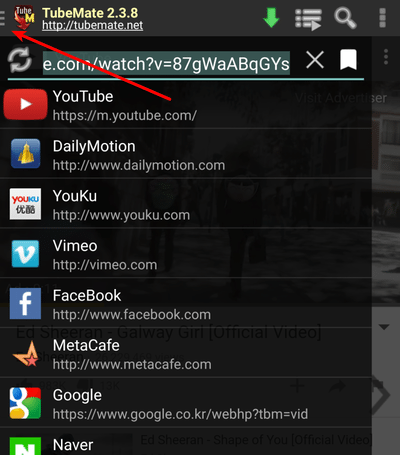 What is your favorite app to download YouTube videos? 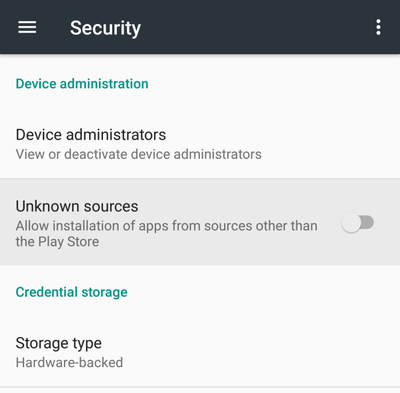 If you have never installed an Android app manually from an .apk file, the procedure is quite simple. ...then scroll down and enable the relevant option. 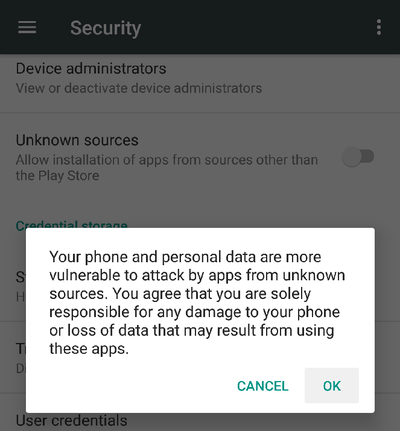 We will get a warning regarding apps from unknown sources. We select OK to close the warning and enable the functionality. ...and immediately install the application. 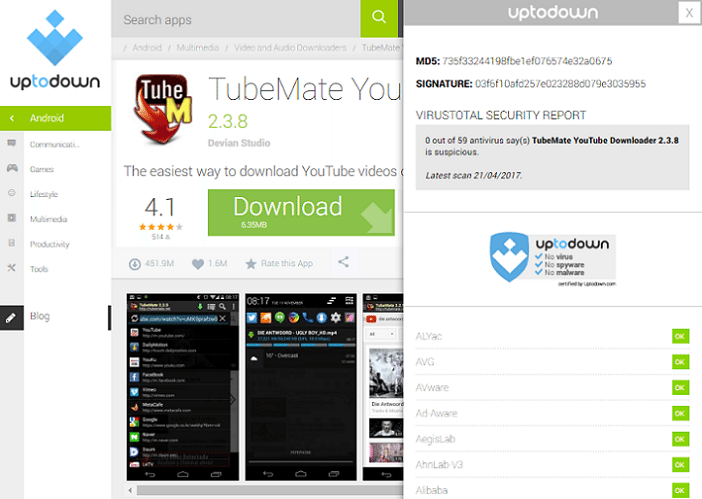 TubeMate is of the easiest and most user-friendly YouTube video downloader on Android. We will find the latest version of the .apk file at the uptodown repository. This repository has the bonus of scanning each .apk with VirusTotal, to ensure it's malware-free. 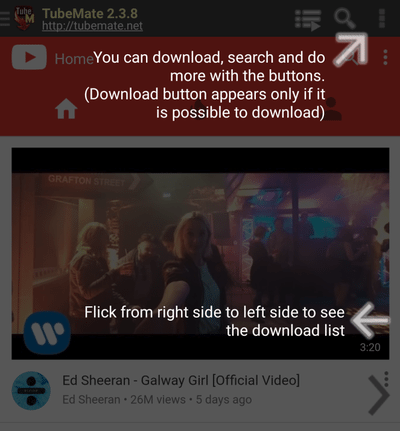 The first time we start the app, we will get a very simple guide on how to use it to download YouTube videos. After we search for the video of our liking, we just select the downwards pointing green arrow. ...or a plain audio format. 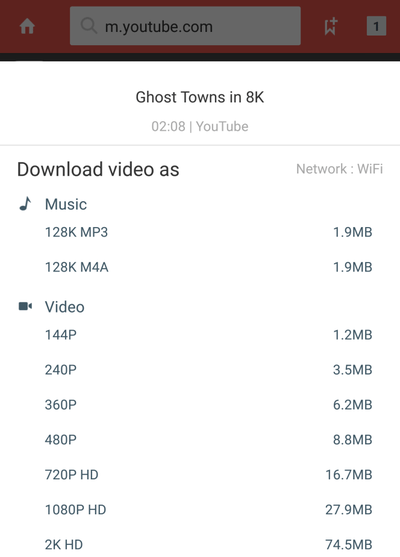 Unfortunately, the app won't support bit rates above 128K on any audio option, and from any video. 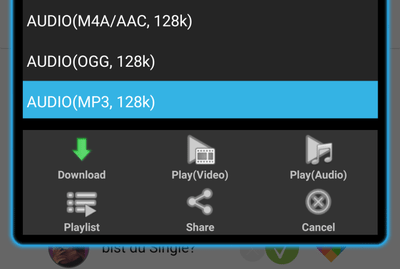 Of course, for formats other than the MP3, 128Kbps is a decent quality, especially if we take into account the average smartphone's sound quality. 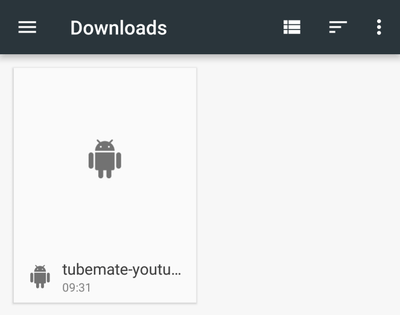 Finally, TubeMate incorporates a download accelerator, downloading YouTube Videos with four simultaneous streams, to get a better download speed. On videos with higher resolutions available, we will get the relevant options, like 8K 7680x4320. However, some ultra high-resolution videos might get an asterisk, and not present all the options. The asterisk means that we might not be able to download the video at all. Not always, though. 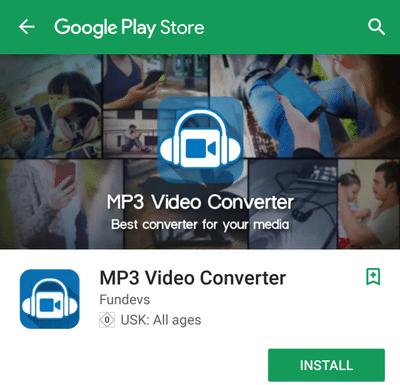 You should note that to download YouTube videos at 1080P or greater resolution and to convert any video to MP3, we have to install the Fundevs MP3 Video Converter from the Play Store. We only need to do this once. Clicking on the install button will immediately take us to the Play Store page for the app. 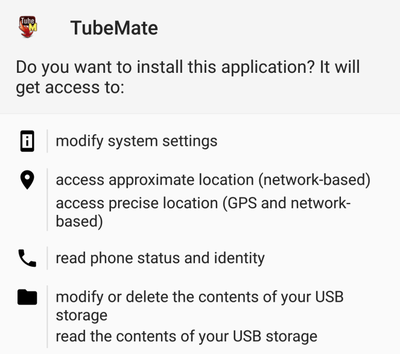 Apart from downloading YouTube videos, TubeMate can download Facebook videos, as well as clips from DailyMotion, Vimeo, MetaCafe, and several other services. We can access the alternative services from the upper-left hand corner hamburger menu. Mind you, it has a very slim design, and it's easy to miss. The name "Videoder" is apparently a portmanteau of Video( & Music Downloa)der. Not the best name in the world, but it shouldn't be a deal-breaker either. We will find the latest version of the .apk file at the Uptodown repository. Alternatively, we can get it from APKMirror. 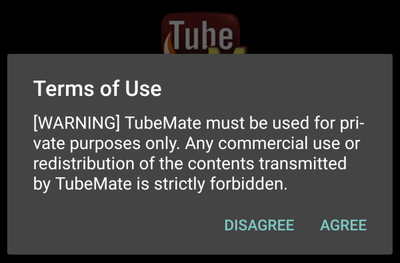 As opposed to TubeMate, which has a 60/60 clean bill of health, Videoder has three antivirus services marking it as suspicious. These are most definitely false positives, and we haven't noticed any out of the ordinary behavior during our tests. However, if this makes you uncomfortable, feel free to skip this app. Videoder is very well designed, with a clean and concise graphical user interface. 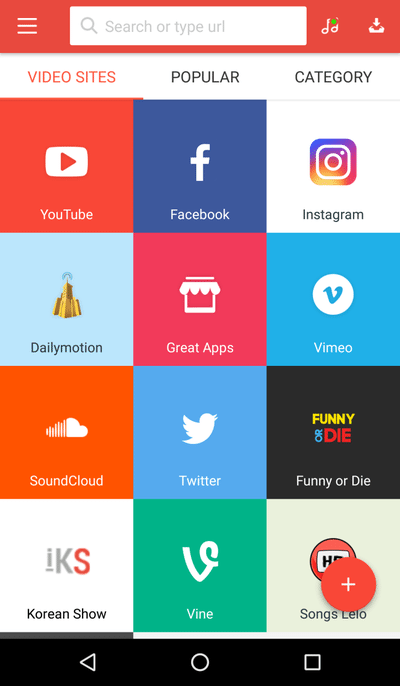 Apart from downloading YouTube videos, it supports 24 other services, including Facebook, Instagram, Dailymotion, Vimeo, and LiveLeak. 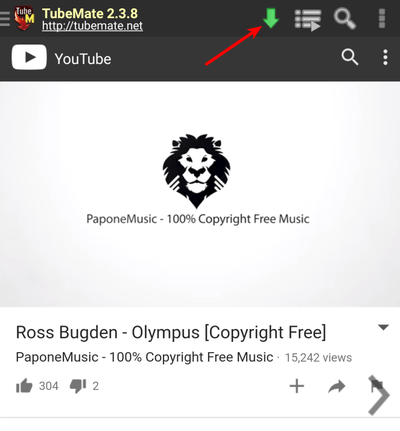 Selecting the YouTube service and navigating to the video of our choice, we will get a large download button on the lower left of the screen. 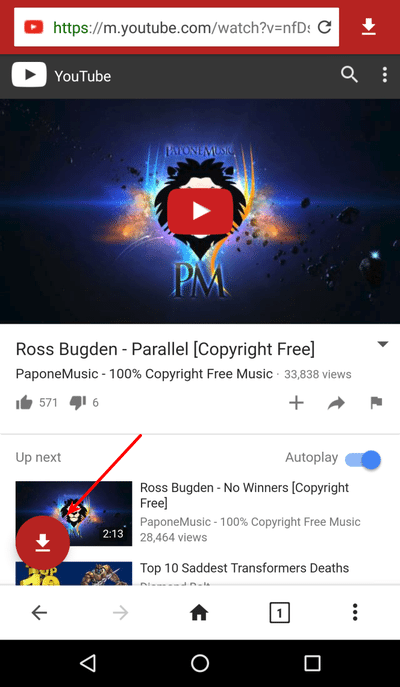 Clicking on it, we will get several options to download the YouTube video as an audio or as a video format. The biggest downside of Videoder are the large ads, which can get annoying. Thankfully, we didn't get any flashing or animated banners. 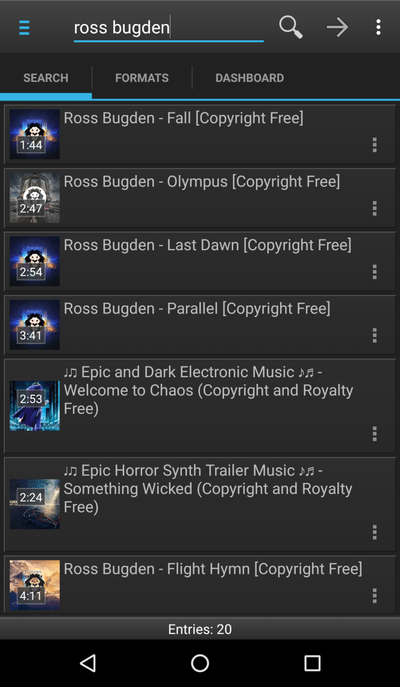 The audio choices are a bit limited, compared to TubeMate. 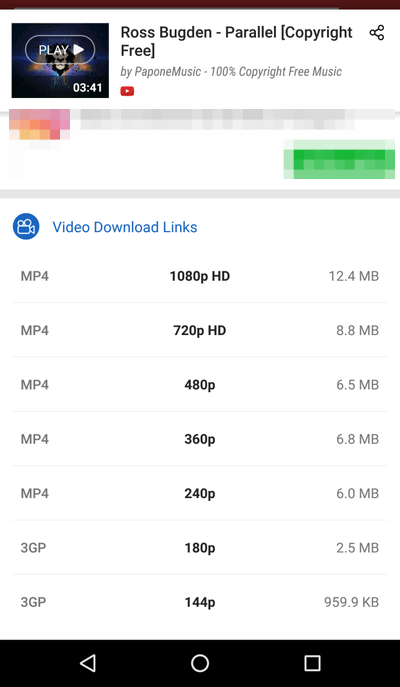 But we can download YouTube videos from Full HD 1080p MP4 all the way down to 144p 3GP. On ultra high-definition videos, we also get extra resolution options, up to 7680x4320. 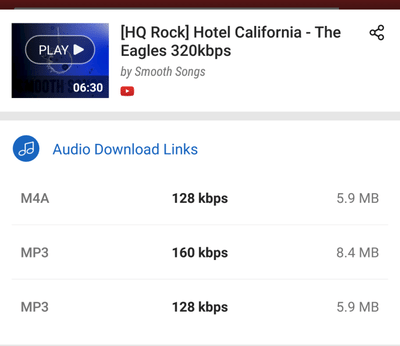 The highest MP3 quality the app supports is 160Kbps, even for videos claiming to be 320Kbps. After we pick our quality and file type, Videoder has an embedded download accelerator, which uses multiple threads to speed up the download. 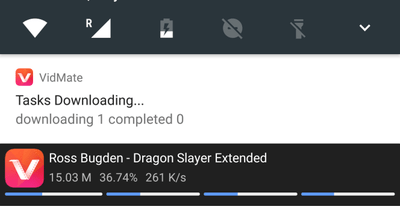 On a fast 4G connection or WiFi, we can increase the number of threads with the slider. Respectively, we can decrease the threads on slower connections. 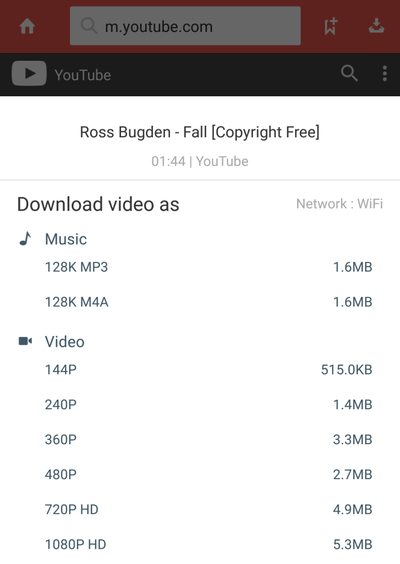 Videoder does not require to install any third-party apps or to convert videos to MP3. Beauty is in the eye of the beholder. 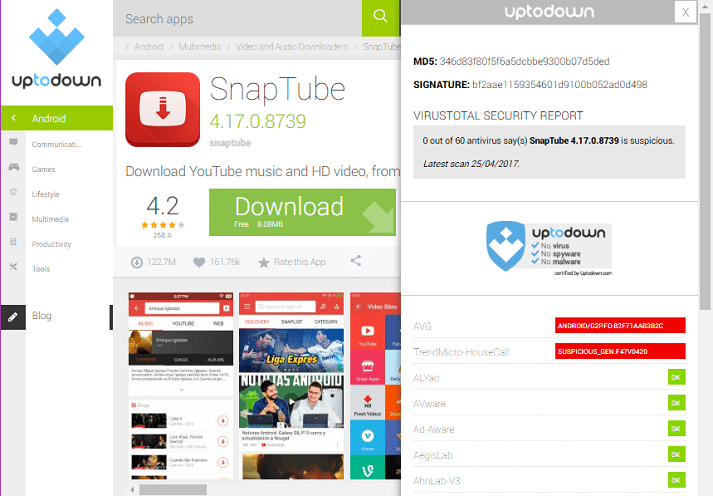 That said, we find SnapTube the best-looking app to download YouTube Videos. We can download the latest .apk from Uptodown. Two antivirus suites on VirusTotal find something fishy going on with the file, but we can ignore them as false positives. Like we suggested on Videoder, if that makes you uncomfortable, you can skip this app too. 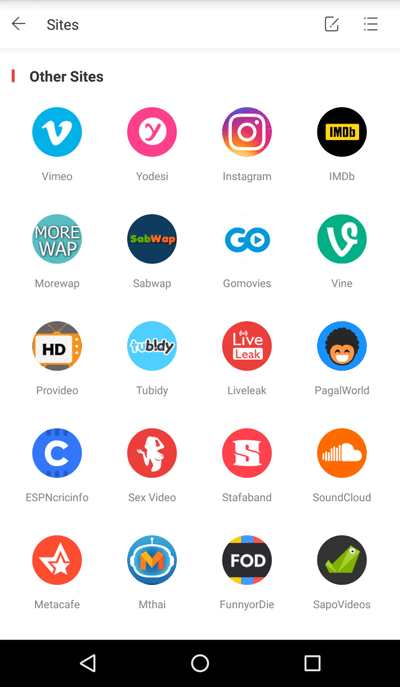 The main window of the app features several of the most popular video services, in a tile pattern. Clicking the plus "+" icon, we can also add services that the app does not include by default. 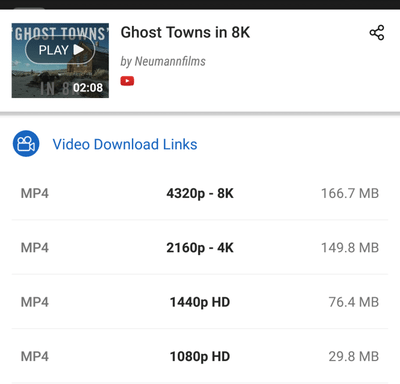 To download YouTube videos, we just navigate to the video of our choice through the app, and we will get a "Download" button on the lower right of the screen. Selecting this button will present us with all the options for Audio and Video. 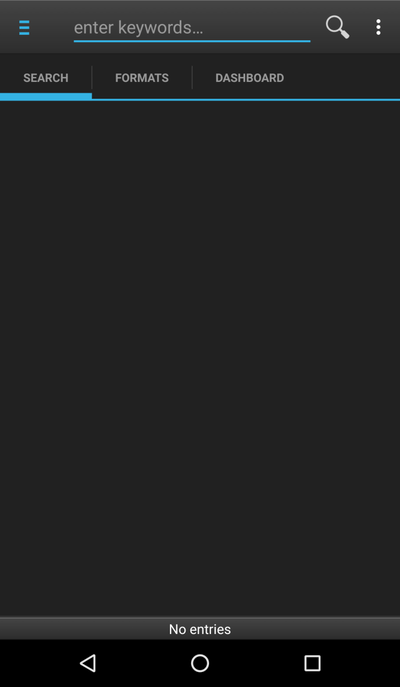 Unfortunately, the app does not support resolutions higher than 2K HD, which translates to 2048×1080 pixels, even on 8K videos. 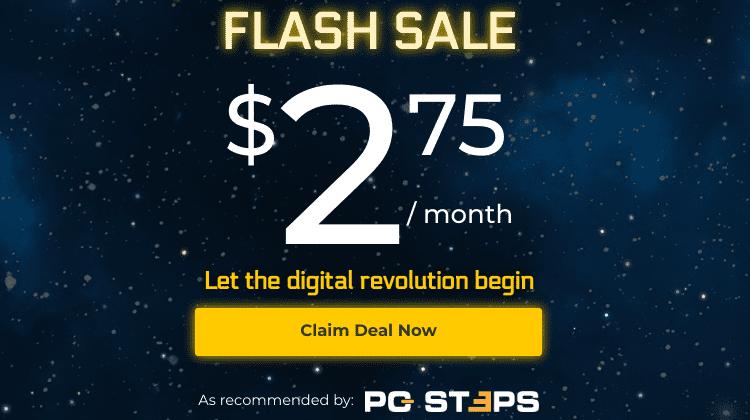 It also does not support any bitrates above 128Kbps. 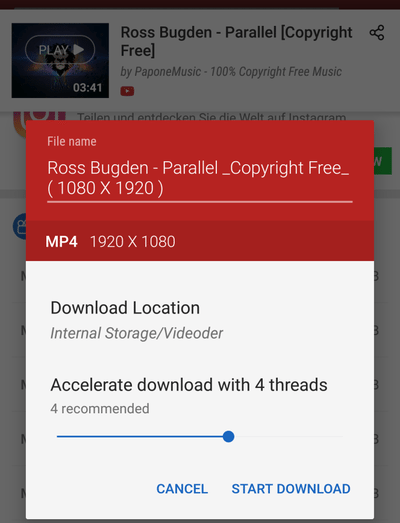 After we select our quality and file type, SnapTube's download accelerator will use four threads to download the file. 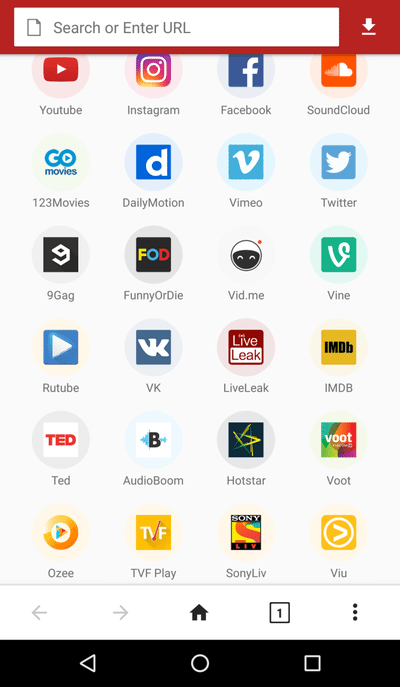 Vidmate is one of the most popular apps to download YouTube videos on Android. We can get the latest .apk from Uptodown. Two of Virustotal's antivirus suites complained of false positives. ...and you will see websites supported that you might not have heard before. 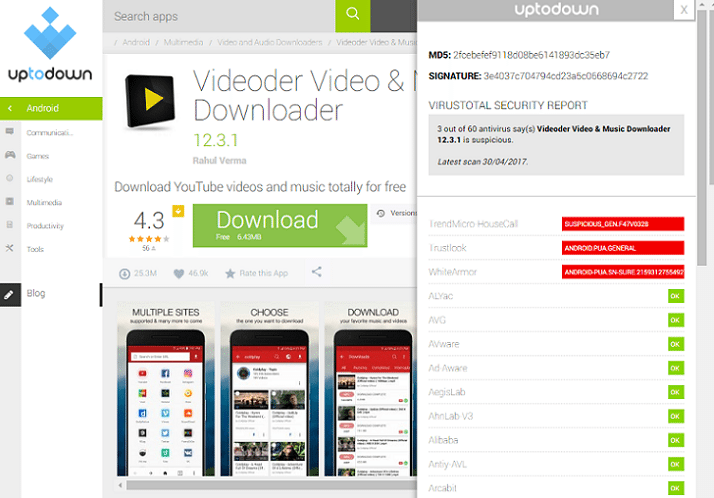 Vidmate's download interface is similar to the previous apps. We get an arrow to download YouTube videos. Clicking on it, we will get the file type and quality options. Rinse, repeat. However, like TubeMate, we have to install a Media Converter file to download the video at 1080p, 480p resolutions or as an MP3 file. We don't need to leave the app to install this addition. Clicking on "Install" will take care of everything automatically. Vidmate too uses four threads for downloading. However, there must be a problem with the reporting, because the vid downloaded much faster than the reported 261 K/s. 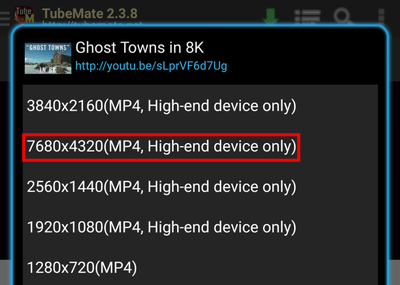 Unfortunately, Vidmate does not support any resolutions beyond 1080p, even on 8K videos. It also does not mention the mp3 or M4A bitrate, but it's a safe bet that it is 128Kbps. 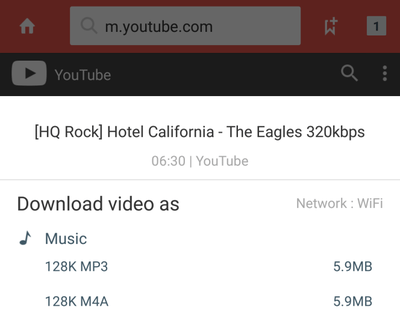 YouTube Downloader for Android is surprisingly more than just a YouTube downloader for Android. We will find the latest version at Uptodown. 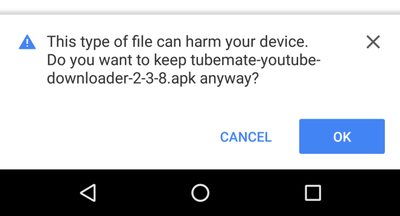 It is only the second app on this guide, along Tubemate, that gets a clean bill of health on VirtusTotal. The app's creators don't seem to care much about a great looking design. It's not necessarily bad; it's just a little plain. 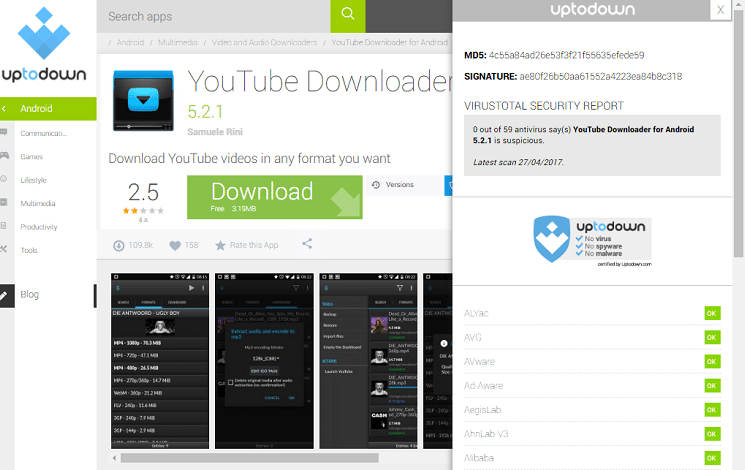 As the name suggests, the app can only download YouTube videos and does not support other services. We don't get the YouTube interface, like with the other apps. We need to search for any video we wish to download. Thankfully, the app will present useful tips on all its tabs, which can significantly improve our user experience. So, we search for the keywords that interest us. In a couple of seconds, we will get the YouTube results. Selecting a video will take us to the "Formats" tab. 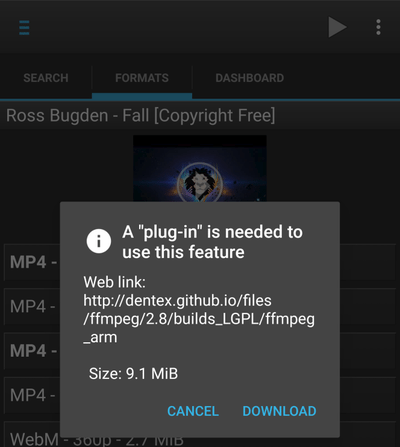 Apart from downloading the file to our smartphone or tablet, YouTube Downloader also allows us to send it to another device via SSH. 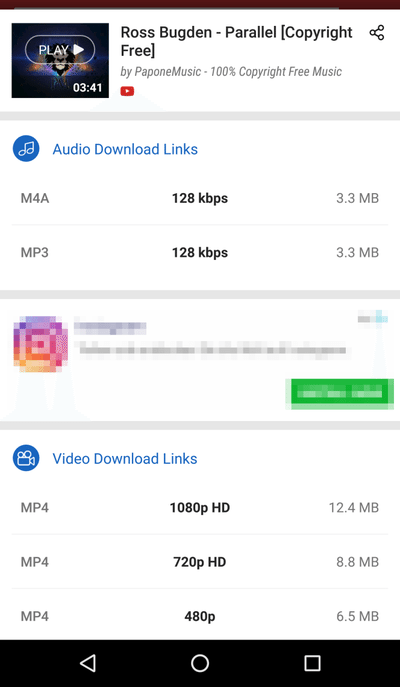 In any case, we get a few options for video formats, and one MP3 option with 256Kbps CBR, which stands for "Constant Bit Rate." Selecting any one will give us the "Download here" option. The first time we download a Full HD video, we must install a "plug-in." We don't need to leave the app to complete the installation. As always, we only need to do this once. Finally, we will find the file in the Dashboard tab. 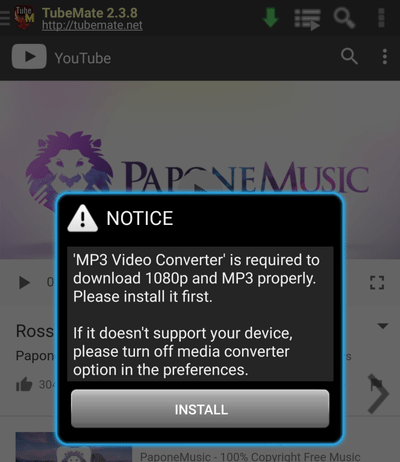 Even if we downloaded a video, we can do an audio extraction/conversion to mp3 after the fact. 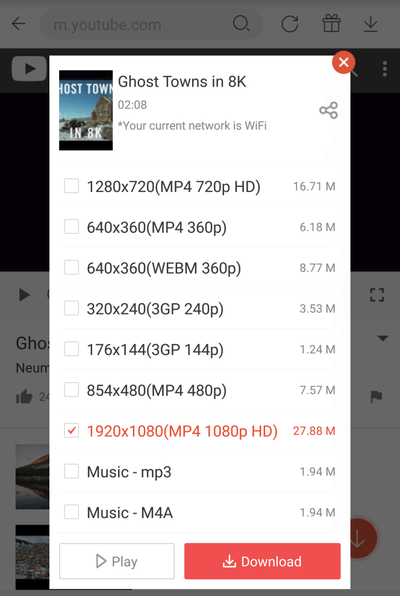 YouTube Downloader for Android does not support resolutions larger than Full HD 1920x1080, even on 8K videos. It also only offers the 256Kbps CBR option for Mp3. In conclusion, it's not the best-looking app; it does not have the greatest support for video serving websites; it has a sparse support of video resolutions and audio files. 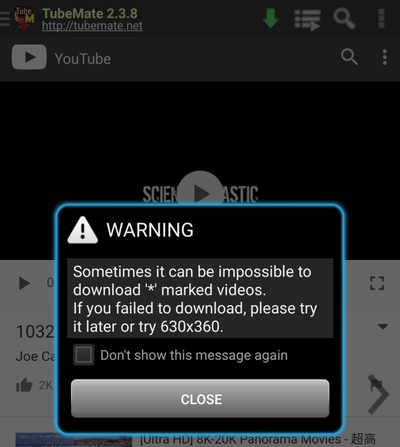 However, if we are only interested in downloading YouTube videos on Android, and nothing more, it will serve us well. 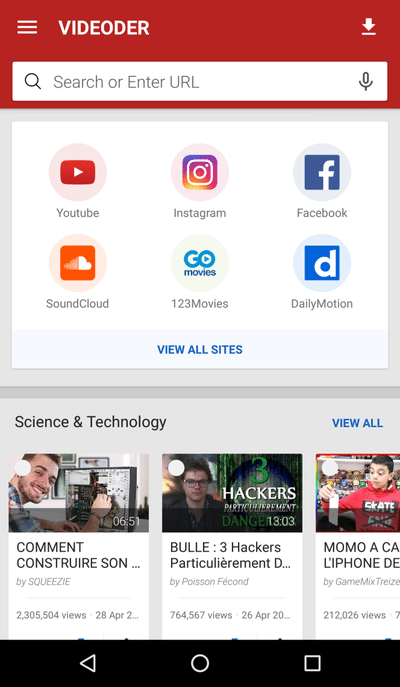 The only reason none of the above apps is at the Google Play Store is that Google does not want us to download YouTube videos to view offline. They want us to go to YouTube and see the videos there, so we can also see the unskippable ads, or click the banners. 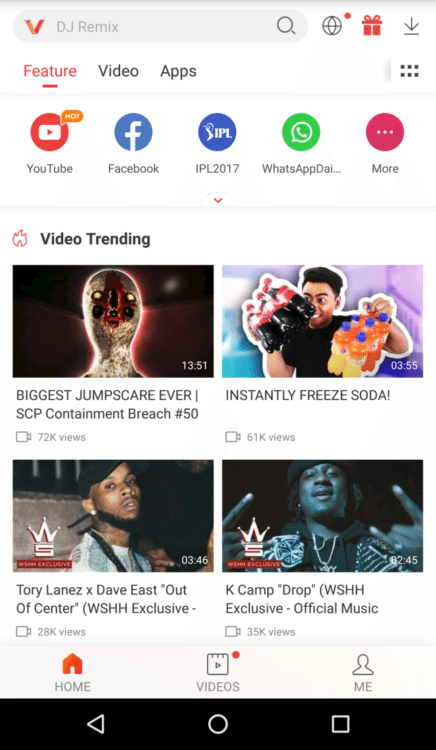 There is nothing wrong with that, but this is why we will probably never see YouTube downloading apps at the Play Store. There is, however, an exception to that rule, and that is for YouTube Red subscribers. 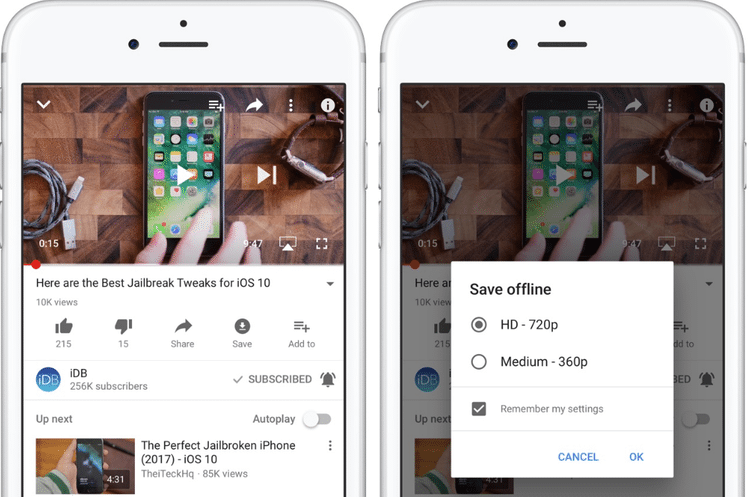 If we pay a monthly fee for YouTube Red, and we are already getting the ad-free experience, Google will allow us to download YouTube clips to our heart's content. Of course, this is not the same like having downloaded an .mp4 file. Firstly, it will remain offline up to 30 days, not indefinitely. Secondly, every 48 hours YouTube will check online to see if the video is still available. If not, it will remove the video from our device. And it goes without saying that if we cancel our YouTube Red subscription, we lose access to any offline videos. Add this to the fact that YouTube Red is not yet available internationally, and that it costs $10 per month, and the apps to download YouTube videos will always be the better option. If you are using one of the above apps, or have another app to suggest that we might have missed, leave us a comment.